I can’t believe that summer is almost over and that school will be starting soon. These past few weeks I’ve been watching for deals on school clothing. You can read these 7 tips on how I save money on children’s clothing. And right now, Gymboree has some great deals on children’s clothing. Gymboree has been dressing children since 1986. The brand’s fashionable clothing and accessories are created to celebrate kids being kids in unique head-to-toe looks. Available in sizes newborn to 10 years, Gymboree clothing is designed with colorful, high-quality fabrics and detailed touches throughout. Whether your child has already started school or is starting in a few weeks, Gymboree is the place to shop. Currently they are offering an extra 30% off markdowns which means you can save even more on your back-to-school shopping! Plus new arrivals are 20% off! So what are you waiting for? Head into your local Gymboree store and get shopping (and saving). My girls were so excited a few weeks ago when a large box showed up on our front porch. 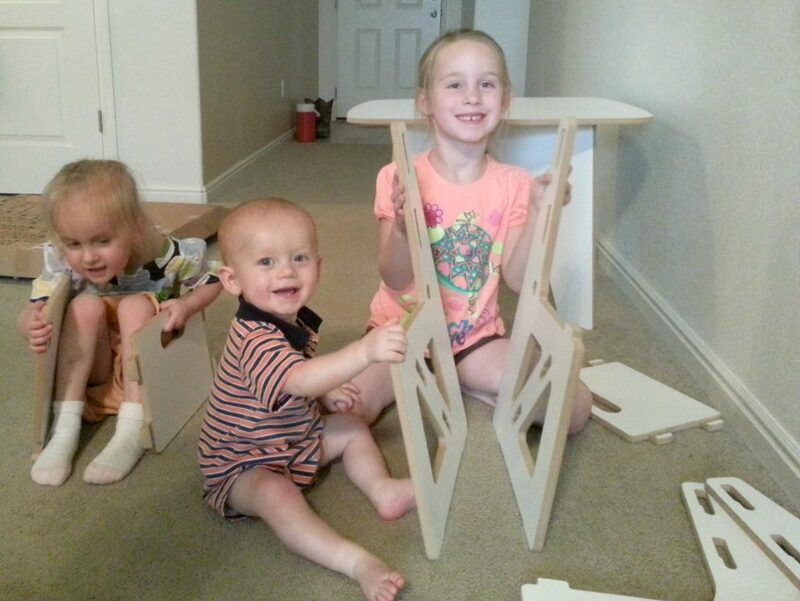 They couldn’t wait to open it, but I made them wait until my husband was home so he could help with this project. 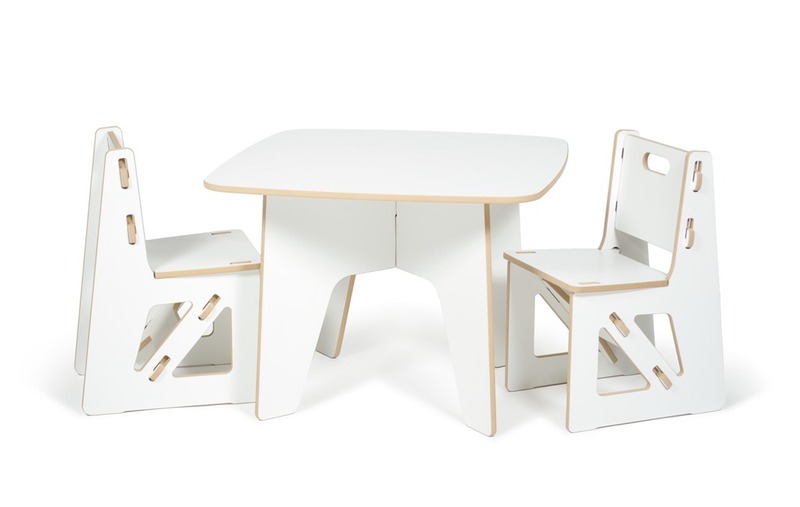 When we finally opened the box, my girls squealed with delight when they saw that we received a Kid’s Table and Chairs from Sprout. We started by first assembling the kids table. It had three pieces that interlocked to hold it together. I liked that we didn’t need any tools to do this. We then assembled the chairs, which had five pieces for each chair. Once we read the instructions and put everything together, it only took us less than 10 minutes. It was so easy to do! We probably would have been able to assemble it faster, but we had lots of help from our three children. Plus, we enjoyed doing it together as a family. 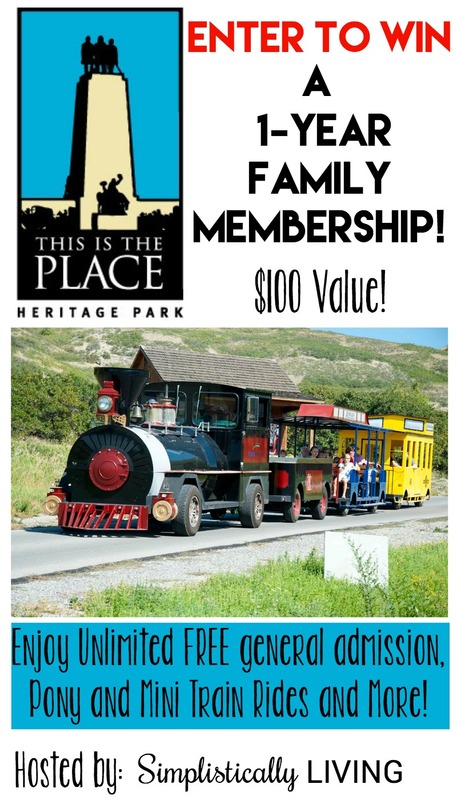 I’ve teamed up with some great Utah bloggers to giveaway and promote a 1-year Family Pass to This Is The Place Heritage Park ($100 value)! 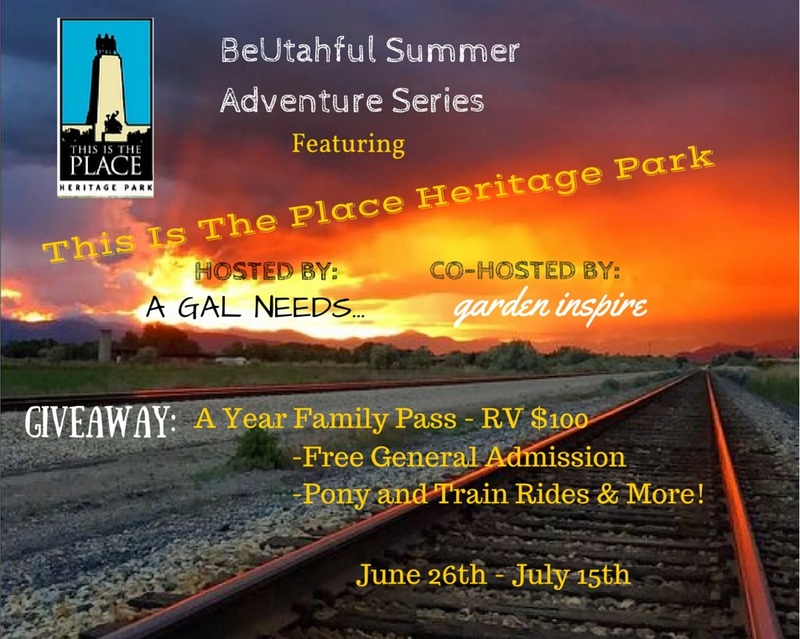 This is a part of the BeUtahful Summer Adventure Series, hosted by A GAL NEEDS. And this giveaway is co-hosted by Garden Inspire and sponsored by This Is The Place Heritage Park. We are featuring some of the best attractions in the state for tourists and locals alike! This Is The Place Heritage Park has been around for a long time! Originally established to pay homage to the founders of the state of Utah, with gorgeous memorial statues lining the drive around the park, it has evolved into much more! Families from near and far come to the park to enjoy the many amenities offered to visitors. My family and I love going to This Is The Place Heritage Park. There are so many fun things to do there. I’ve teamed up with a group of bloggers for a Jurassic World Giveaway where 5 people will win some awesome prizes. Read on to find out more details and to enter the giveaway. Did you know that Utah is a Dinosaur Fossil gold mine?! I mean, Utah, it’s a big deal. So big in fact, that the Utahraptor was found right here in Moab, Utah. That’s right people, we have our own dinosaur. It’s also a cousin of the Velociraptor in Jurassic Park. Utah has a lot of dinosaur history, so we’ve compiled a list of our favorite Dinosaur Museums. You’ll definitely want to add these museums to your summer bucket list. Now that is school is out it’s time to start thinking of how you will keep your kiddos busy this summer. While they can certainly play outside, there will be days where it will be miserably hot. A great place to visit that will keep them cool and entertained is Discovery Gateway! My family and I have been to the Discovery Gateway, and it’s such a fun place for kids. My kids loved the hands-on experiences and didn’t want to leave when it was time to go. Discovery Gateway children’s museum is located in the Gateway Mall in downtown Salt Lake City. Discovery Gateway offers 60,000 square feet of interactive, hands-on fun. You can explore their engaging workshops, programs, and exhibits that invite the whole family to create, learn, and play together! My oldest daughter is already out of school because the kindergarteners finished a week earlier than the rest of our school. But in just a few short weeks kids will be out of school for the summer, which means parents need to figure out ways to keep them entertained. In Utah, This is The Place Heritage Park is the perfect daytime activity for the entire family! My family has been to This is The Place Heritage Park many times, and we love going. In case you haven’t heard of This is The Place Heritage Park, it contains over 50 historic homes and structures to visit and countless fun activities to help visitors learn about history and step back in time to see how things used to be. 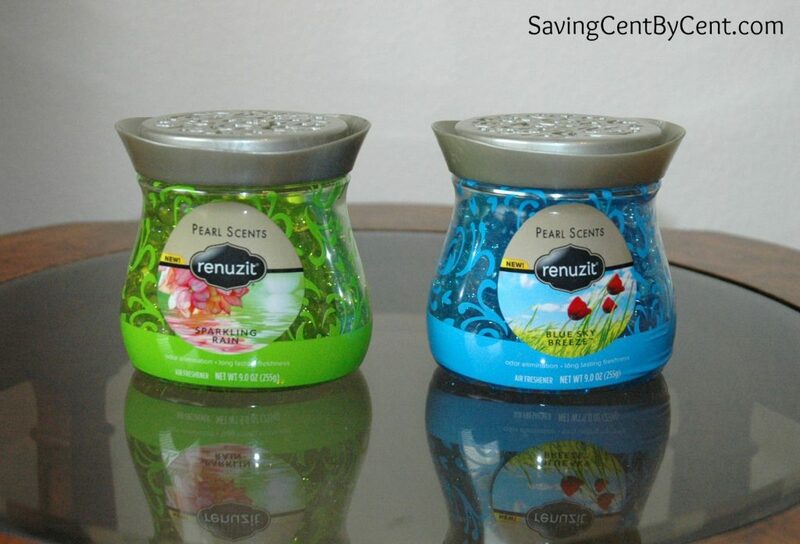 Renuzit has come out with a new Renuzit Pearl Scents product, and I love that it’s designed so it can be part of the home decor. Inside the jars are colorful, scented jelly-like pearls that look very cool. Plus, the fragrances smell really good. I had the opportunity to try out two Renuzit Pearl Scents: Sparkling Rain and Blue Sky Breeze. And the fun part is that I was given a gift card to go on a little home decorating spree to spruce up a small are in my home. 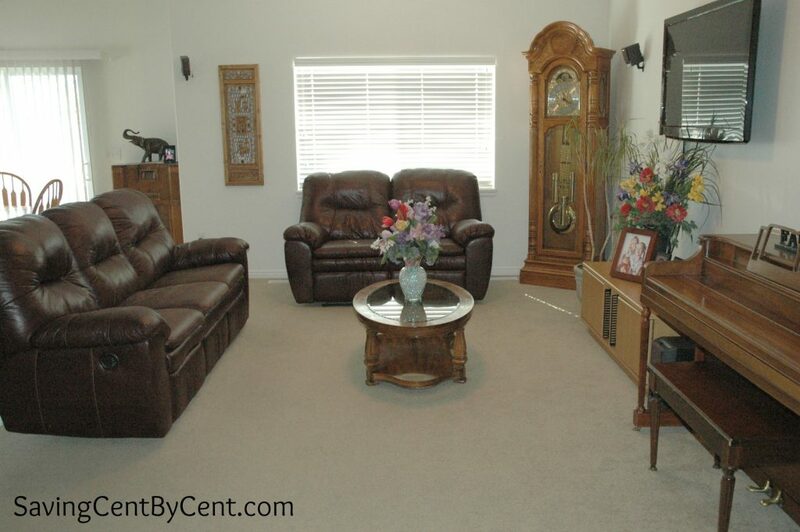 My house decor is very simple (as you can see in the photo above), and I don’t spend much money on decorating. That’s partly because money seems to always be needed for other things such as bills, children’s clothing, and a dishwasher that just isn’t working well anymore. So it was fun to buy a few items to add to my home decor and that also looked good with the Renuzit jars. I love opening my doors and windows in the spring while I spring clean my house. And I love the feeling of having my house in order, clean and organized. It’s also nice to have the right products and tools on hand to get the cleaning done faster. HomeRight offers a full line of power painting, automotive and home care products to help you get your project done right. Whether you are removing wallpaper from your walls or wanting to clean and sterilize your floors, they have a product for you. I have teamed up with a group of bloggers, including the host of the giveaway, Brittanie from Simplistically Living, to offer you a chance to win your very own HomeRight SteamMachine like the one pictured above! 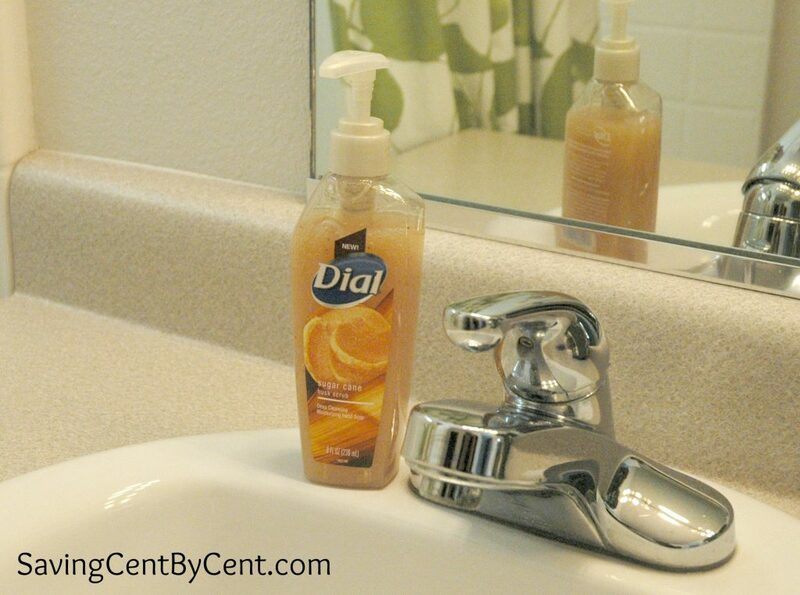 For 67 years, the Dial brand has been developing personal care products. 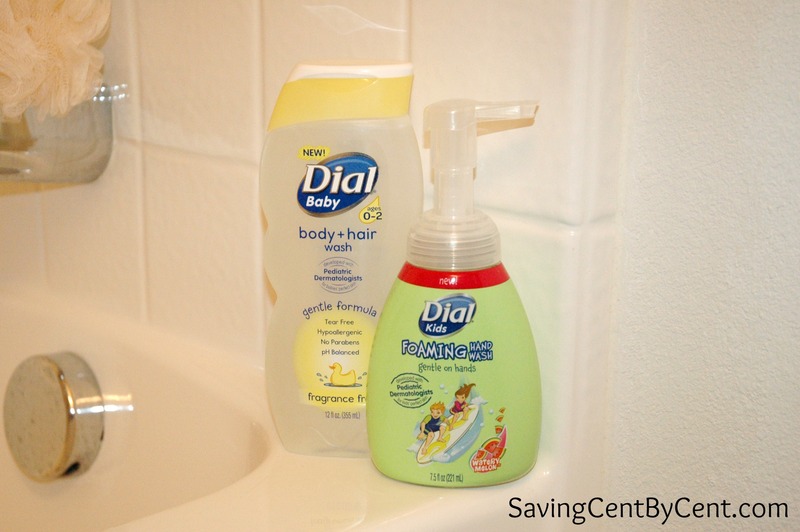 And recently, Dial just announced its entry into the babies’ personal care products with its new Dial Baby Body & Hair Wash. This was developed with pediatric dermatologists specifically for babies’ skin, and it gently removes dirt from head to toe. I tried it out on my eight-month old baby and really liked it. I like that its gentle on the skin, that it’s tear free and that it can be used for the entire body including the hair.